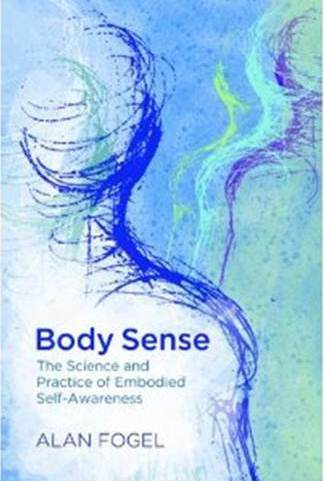 Body Sense: The Science and Practice of Embodied Self-Awareness, explains the neurophysiology of body sense and why it can create a renewed sense of well-being. Neuroscience research has shown that when our body sense is activated, it there is a corresponding co-activation of regulatory centers in the brain that promote restorative changes in hormonal, respiratory, cardiovascular, and immune systems of the body. This body sense awareness is all we need to eventually shift out of old patterns into healthier and happier ways of living in our bodies. Body Sense is also available on Amazon in paperback or kindle e-book. You can find reviews of Body Sense on my W. W. Norton author page, by scrolling down on my Amazon author page, in the International Journal of Psychotherapy and in Contemporary Psychology. See also, my article on using body sense for working with pain during massage therapy, published in Massage and Bodywork magazine.